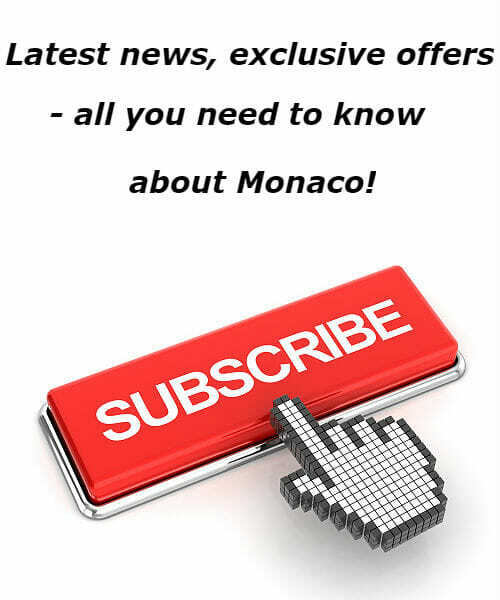 We selected for you top 5 yacht stories of the last week at Yacht Harbour. A desire to experiment with large, bold surfaces inspired Isaac Burrough’s latest design concept. The 100-metre motor yacht mixes straight lines and hard chamfers with large, bold surfaces and sweeping curves. This unique combination creates a design that is not only massive in size but also in character, giving it a strong and outspoken presence. Early in the process, Burrough realised that in order to achieve the posture and stance he was looking for he would need to raise the bow a full deck higher than is conventional on a vessel this size. The outcome of this is an 11-metre high bow that amplifies the boldness of the design. This also allows the owner’s cabin to be extended further forward, giving an extra-large cabin that incorporates a private lounge, office, yoga studio, double ensuites and dressing areas, plus two outdoor balconies off the bedroom. As a result of the increase in bow height, there are two levels on the yacht that require hull windows. 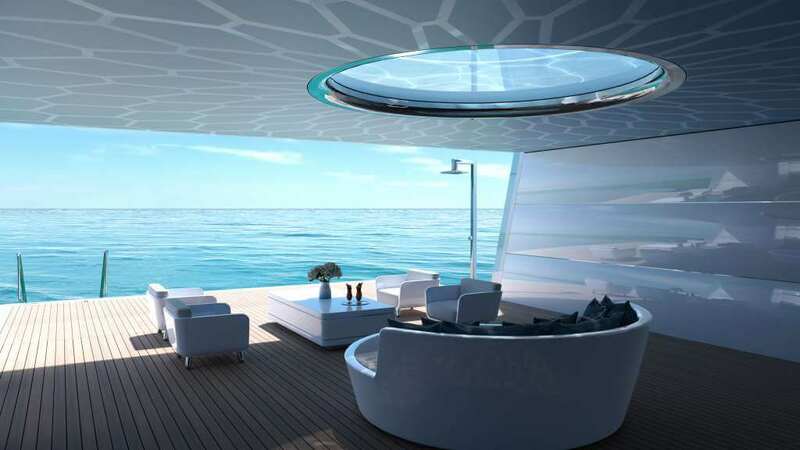 In keeping with the design ethos of the yacht, Burrough has opted to create one large section of glass that extends over the two decks. This not only gives the yacht a distinctive look but also enables floor to ceiling windows in the owner’s cabin, helping to create a solid connection with the environment. Just aft of the hull windows are the yacht’s most distinctive styling elements; the owner’s and bridge decks sharply turn in the middle of the yacht to reveal a glass facade that extends over three decks. Behind this glass is a three-storey atrium that fills the main staircase with natural light. This is a dramatic feature of the yacht no matter whether you are viewing it from on board or from the quay. 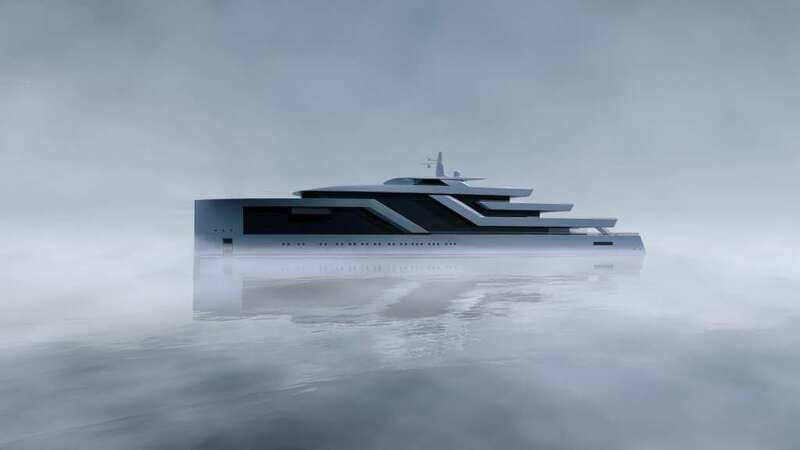 Another innovation on this yacht concept is the location of the spa area. 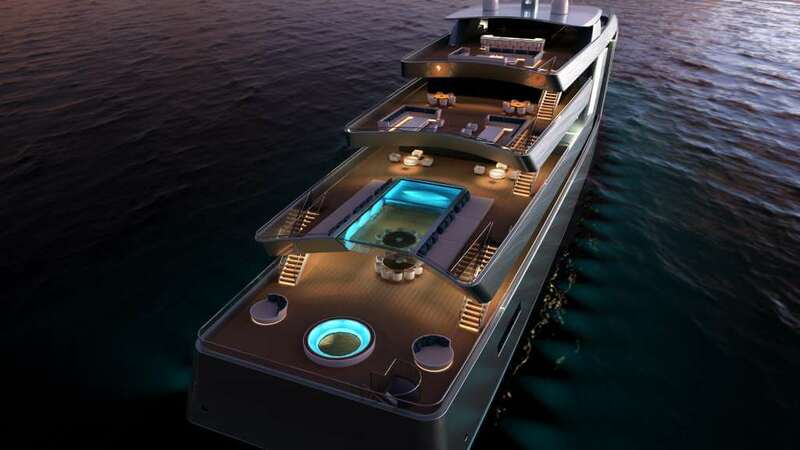 Rather than being placed on the lower deck next to the beach club, as convention dictates, it has instead been positioned on the aft of the owner’s deck. The key to this shift was to create the ultimate spa experience; by moving it away from the more active beach club and tender bay areas, the spa becomes a dedicated relaxation and wellness space. Incorporating a gym, sauna, steam and snow rooms, salon, massage room, and a separate lounge all in close proximity to the pool, and with great vistas from its elevated position, the spa is bound to be a favourite area for guests. With a production value amounting to €623 million in 2017 and backed by its Chinese stakeholders Weichai (Piero Ferrari has a 13.2% share in the group), Ferretti is one of very few brands in Italy with the financial muscle to consider the supposed €25-30 million asking price. If everything will be successful, Ferretti will debut in the sailing yachts world and Wally will join a remarkable portfolio of brands, such as Ferretti Yachts, Itama, Mochi Craft, Pershing, Riva, CRN and Custom Line. 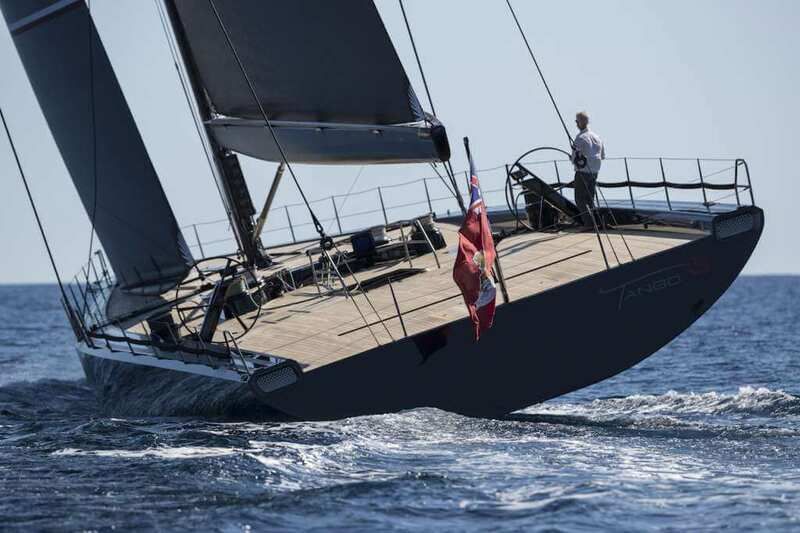 Following the launch of Widers’s 165 superyacht Cecilia extensive tests and sea trials have been taking place on board. The Wider engineering department and delivery crew have been able to report back on progress for this edition of Logbook, and the results are astounding. The Wider 150 Bartali set new standards in the industry in this respect, but Cecilia has taken the shipyard’s quest for excellence to even higher levels. Early feedback indicates that noise and vibration levels are even lower than forecast, due in part to an evolution of the engineering that has built upon the already impressive accomplishments of her slightly smaller sibling. Sea trials have not been restricted to just sound and vibration analysis though as Cecilia has already undergone extensive tests of her stabilisation system, that has proved an excellent choice for providing outstanding stability for the vessel both at anchor and underway. Even the launch and retrieval of the U-Boat Worx SYS 3 personal submarine has been tested. This exciting feature of the 165′ superyacht is hidden away in the cavernous aft garage, and will undoubtedly add endless fun and excitement to cruising on board this sensational superyacht. With sea trials approaching completion the Wider team now have their sights firmly fixed on the forthcoming Monaco Yacht Show from 26 – 29 September, where they look forward to unveiling Cecilia to the yachting world. 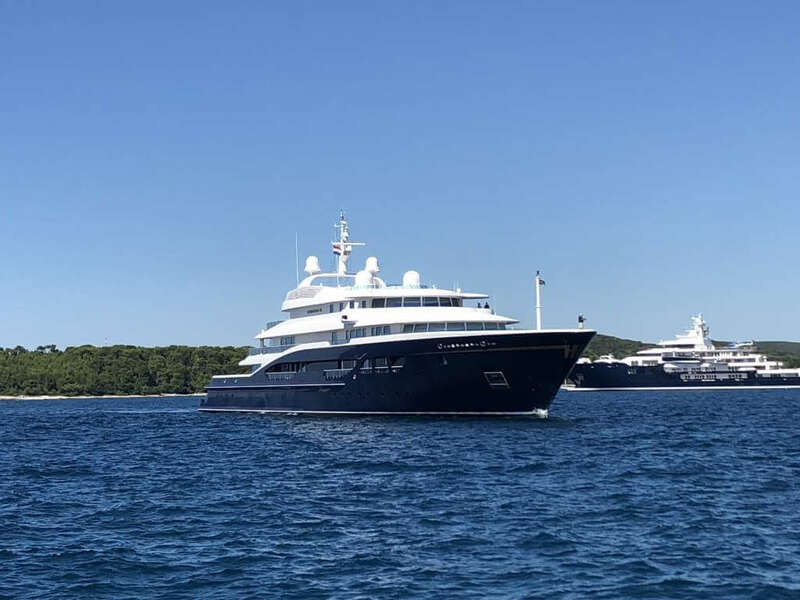 97-metre superyacht Carinthia VII was recently spotted in Rovinj, Croatia. She was built by Lurssen in 2002 and refitted several years later, in 2005. She boasts smart blue navy hull and gleaming white superstructure, which makes her pretty recognizable on the water. Carinthia VII is the seventh yacht in Carinthia fleet, owned by Horten Family. 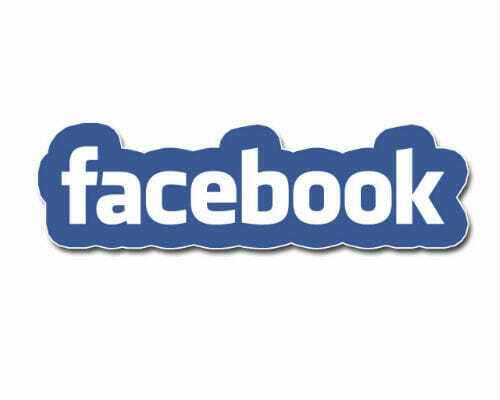 Now, she is owned by Heidi Horten – one of the richest women in Austria, with a net worth of $3 billion. Her husband – Helmut Horten is German entrepreneur, who introduced supermarket shops concept in Germany. She obtained $1 billion from him. Carinthia VII takes her name from Carinthia region in Austria. 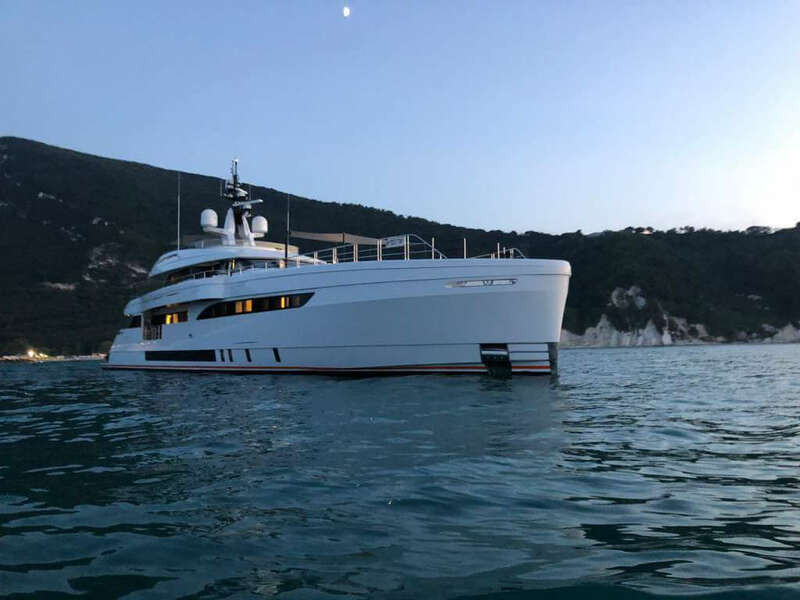 Carinthia VII, with the construction name Faberge, is the result of the work of Tim Heywood, who created her timeless exterior lines and interior, which is yet held private. She used to spend most of her time at the International Yacht Club de Antibes, however, in the last few years she has relocated to Venice, Italy. 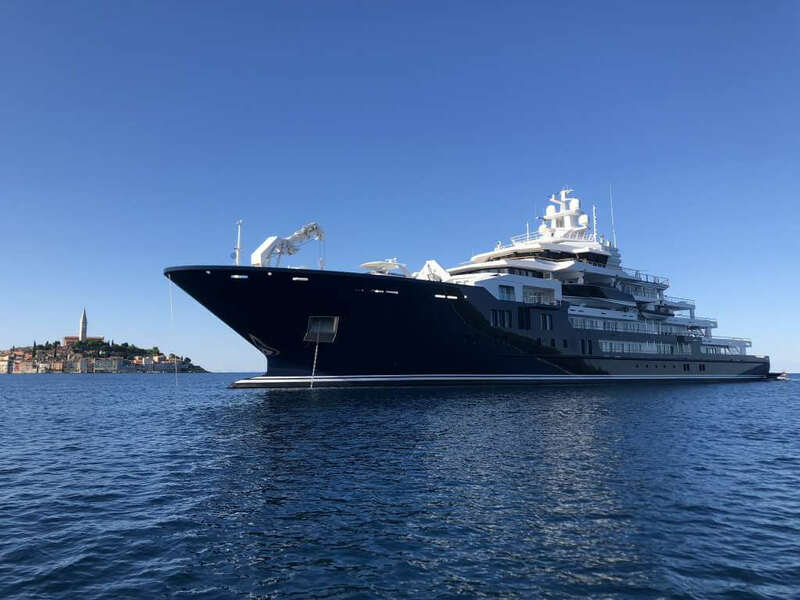 The 116-metre Kleven explorer superyacht Ulysses has been spotted in Rovinj, Croatia. Her construction process took four years : in December, 2016 Kleven in Norway finished the Ulysses technically and after that the yacht was sent to Dorries Maritime in Bremerhaven for the interior and exterior works. Ulysses is the owner’s second yacht built by Kleven, the first one is 107-metre Andromeda (ex. Ulysses) which was sold last year with the asking price of $195,000,000 through Burgess. The latest Ulysses is 10 metres longer than her predecessor. 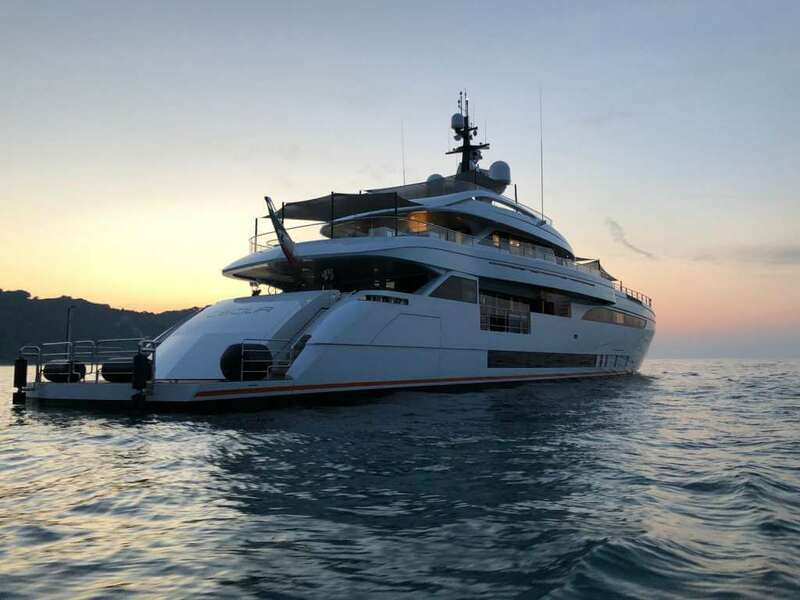 The yacht’s key features include a heli hangar on the top deck which provides storage for her Bell 429 helicopter, as well as a wide selection of tenders, including a 21-metre Princess 68 yacht. 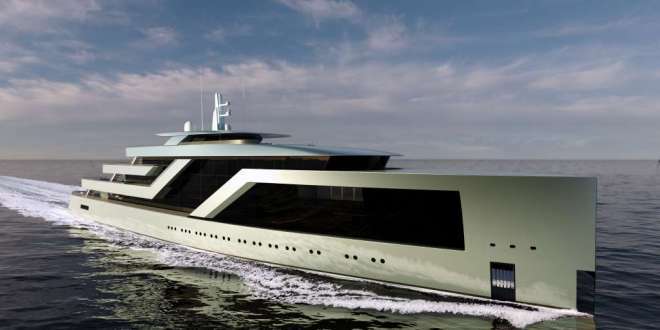 Her huge 18 metre beam will accommodate 66 people in a spacious interior.